After a day and a half at the Grand Canyon, we drove northeast through Monument Valley and to The Four Corners Area. 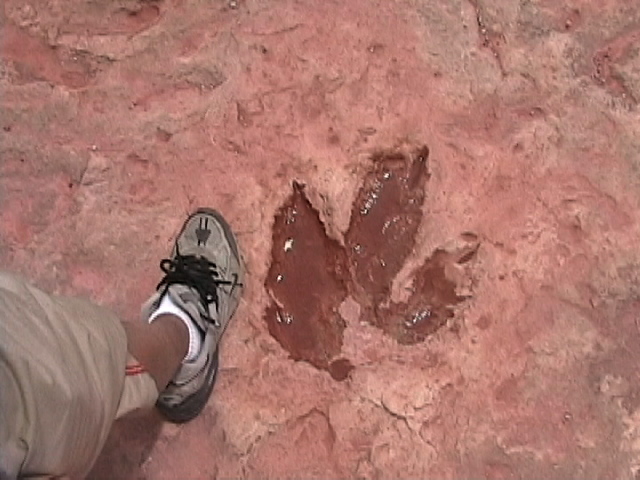 Along the way, we stopped to see dinosaur tracks just east of Tuba City. 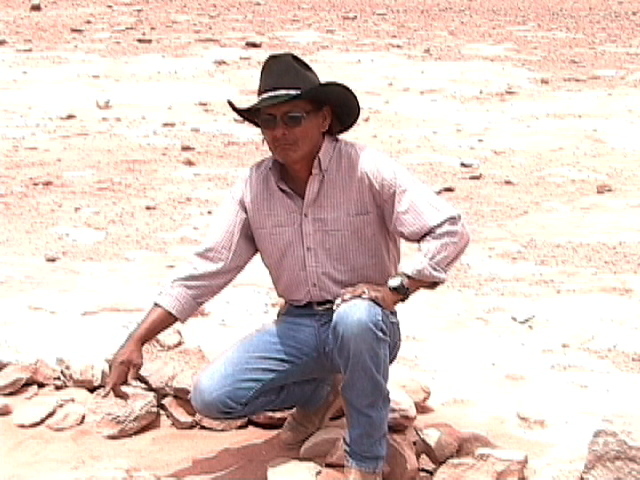 Since the tracks are on private lands of the Navajo Nation, we hired a Navajo Guide. Our guide was named Frank and it was neat to chat with him. 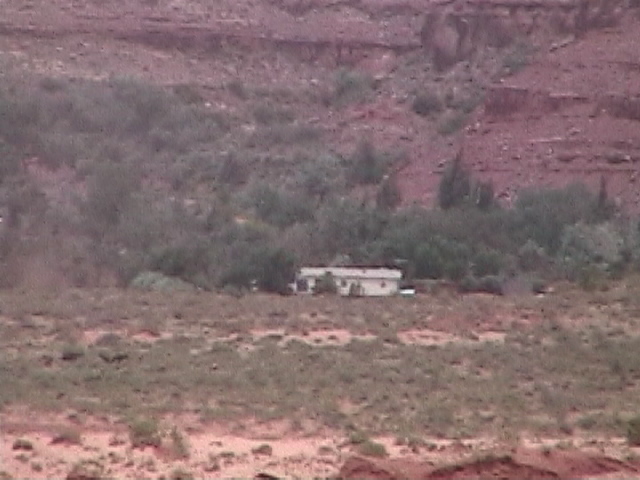 Not only did he show us many dinosaur tracks, he pointed out his home in the distance. A kind and gentle man! 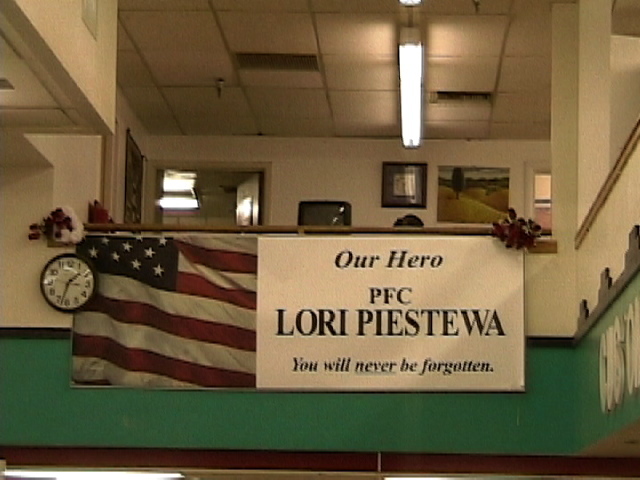 Sign for Lori Piestewa in Grocery Store at Tuba City her home town. Lori, a Hopi Native American, was a soldier killed recently in Iraq.